INSPIRETM is a private, non-profit corporation established in the State of Arizona, USA. 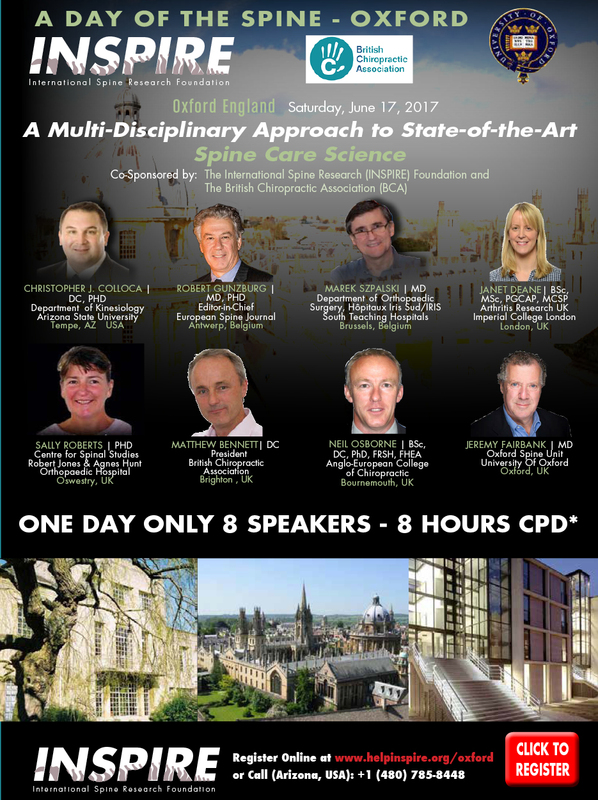 Our aim is to raise funds to support scientific research for the purpose of advancing the understanding of spinal related disorders and improving patient care. The INSPIRE team conducts research and supports the funding of research projects by other investigators.